In this era of ever-increasing mobile Internet traffic, a trusted local regulatory body like WASPA is a benefit to consumers and the industry alike. A recent report released by Social Media Marketing giant, wearesocial, provided interesting insight into the average South African’s growing interaction with the mobile web. With a mobile penetration rate of 150% (which means that there is an average of 1.5 active SIM cards per person in SA) it comes as no surprise that South Africans collectively spend 165 million hours browsing the internet via their mobile phones every day. According to the report, 84% of South African mobile users are on prepaid airtime packages while 16% have postpaid contracts. This split, being largely in favour of prepaid solutions, is in line with the averages of other African- and developing countries. In more mature markets like Japan, however, a total of 99.6% of mobile subscriptions are on a contract basis: an interesting comparison. 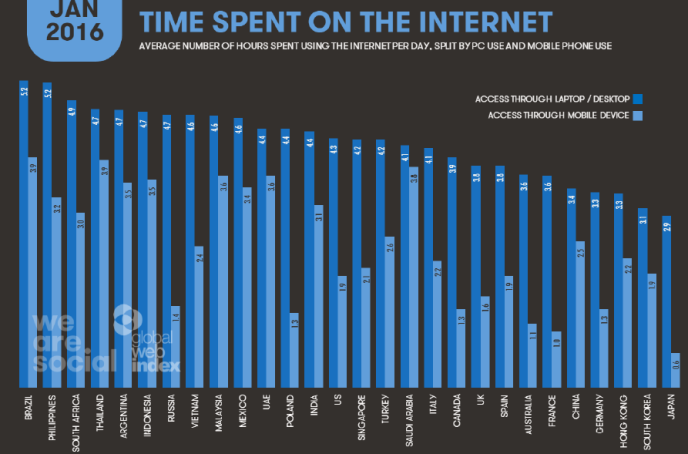 But what are South Africans doing with all this time spent on the web? 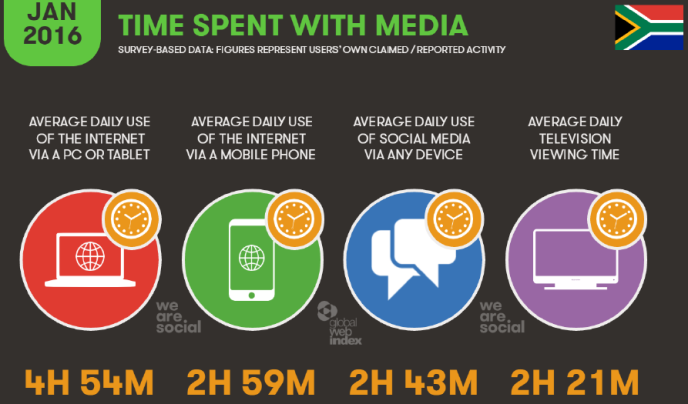 The answer is simple: South African’s are social creatures; spending more than 90% of our mobile browsing time on social media. South Africa is moving to mobile. 2015 saw a 38% decline in web traffic on PC’s and tablets, while web pages served to mobile phones increased by 23%. This is great news for the South African economy, being in line with the World Bank’s 2013 suggestion that government and the banking sector look to mobile in order to promote financial inclusion of the impoverished majority. E-commerce, especially via mobile, has already been on the rise since then. 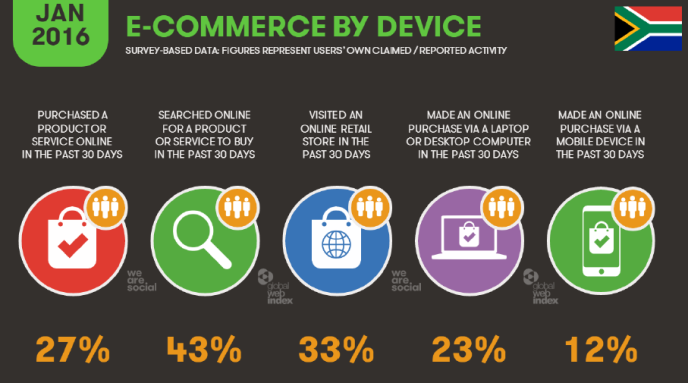 The wearesocial report shows that nearly half of South Africans had used the internet to search for products and services in the past 30 days, with 3 out of ten people eventually making purchases online. WASPA remains committed to ensuring that the public can purchase Value Added Services and mobile content with confidence. Sources: www.worldbank.org, Global Web Index Q4 2015, wearesocial.sg.